I have so many more card making books in my library that if I want to post all of them here, I will have to add a lot more pages. 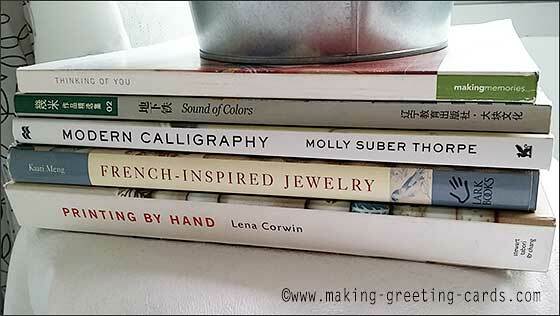 The above photograph shown a few of the books on various subjects; namely calligraphy, Chinese watercolour painting, jewelry crafting, hand-printing on textile, and card-making sitting on a side table under a pot of houseplant in my living room. 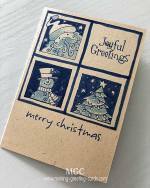 I find that beside having more card making books, we should also have a library of other creative reference books that could contribute and enrich our passion for making greeting cards. 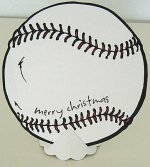 What if we do not need to depend so much on rubber stamps for the greetings? Words like 'Thanks! ', 'Thank You! ', 'Hello!' or 'Happy Birthday!' can be hand written on the front of the card if we know a bit of Calligraphy. This is where Molly Suber Thorpe's book on Modern Calligraphy could come in handy. Practice on the alphabets and try writing these greetings using a calligraphy pen. 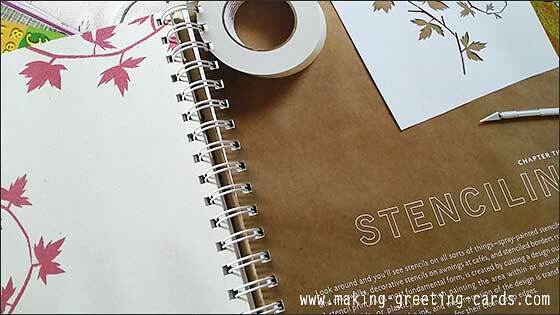 It will certainly makes your handmade cards even more personal. Making jewelries is another of my passion and browsing through Kaari Meng's book is a joy and many of the colourful photographs would be an inspiration indeed for a card-maker's soul. Just have a look at the above spread. Love the inspiring vivid colour combo! No doubt, this book by Lena Corwin is all about printing on textiles but cardmaking does used many of the techniques written within. 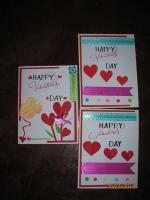 For example, stenciling, and using handmade stamps. Definitely, much can be learned from browsing through this book. One of my favourite Chinese authors is Jimmy. 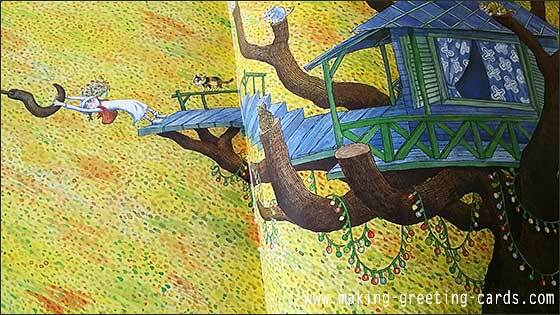 I love the colourful spreads within each of his books and every water-coloured picture tells a story. Anyone who loves using watercolours in their handmade greeting cards will be enchanted by his works and we can certainly learn a lot from studying his paintings. Note: You will notice that some of these books have link to Amazon to buy that particular book. As I have an account with Amazon and buy most of my books from there. it is nice if you would use these affiliate links to make your purchases as then I will be able to earn a small commission that will help me pay for some of my books. Thank you! But if you are not comfortable with that, just go to amazon.com directly and search for the book you are interested in. 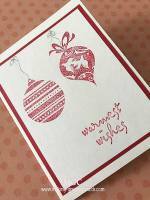 Embellishments are so important to card making. 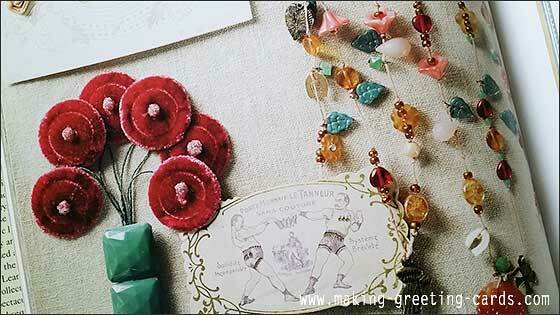 This tassels book is very helpful to me in making some colorful tassels as embellishments for my homemade cards. Great for tag arts too. 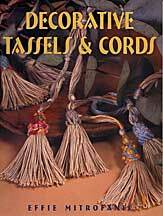 Click here to buy Decorative Tassels & Cords. Another Chinese book that I used to refer to often. I could never remember all the origami folds. 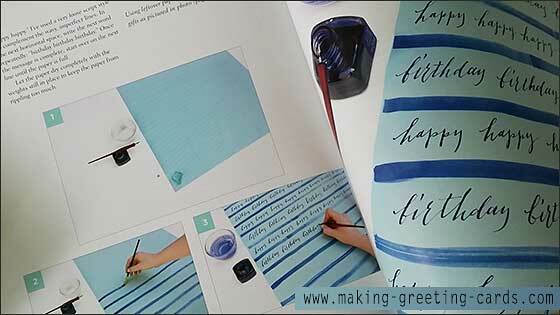 This book covers all different folds for envelopes, cranes and hearts. 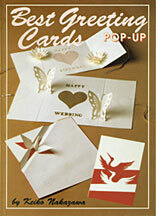 Pop-up cards - another favourite of mine. This is an origamic architecture book. In my opinion, this is simpler than Masahiro Chatani's book on Origamic Architecture. Click here to buy Best Greeting Cards Pop Up. Another great origami architecture book. This one by Masahiro Chatani is more complicated than the other pop-up book mentioned above.